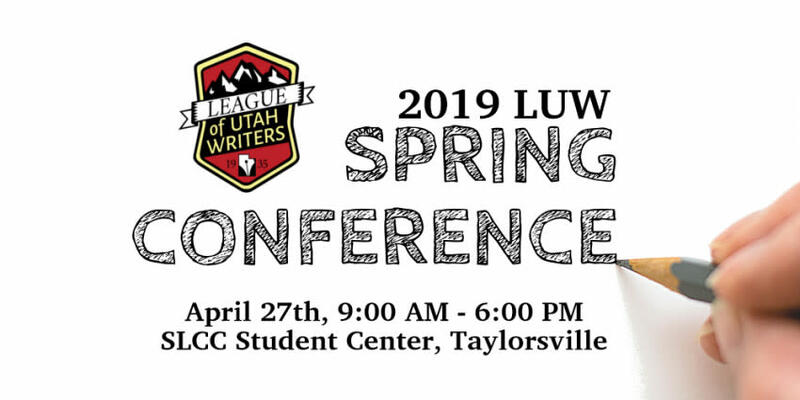 The annual Spring Conference presented by League of Utah Writers is a full day of workshops and presentations focused on improving your skills as a writer. Tracks include fiction, nonfiction, poetry and screenwriting. 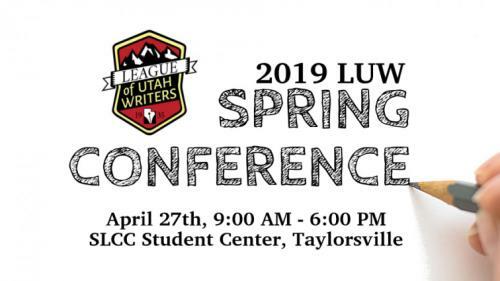 Please join us!2019 Special Guests:Lisa Mangum - Shadow MountainBryan Young - multi-media artistTracy & Laura Hickman - EventideRegistration/Check-in begins at 9:00am the day of the event with programming from 10:30am until 6:00pm.